Chic Memphis: This is a Fashion Blog. This is a Fashion Blog. Well, it was intended to be a fashion blog. It started out as one...then I got Diabetes. Then I started writing about Memphis. While I am not apologizing for that, it is not a reflection of a diminished interest in fashion. Oh no. Not. At. All. Wanna talk about it? K. Good. 1. 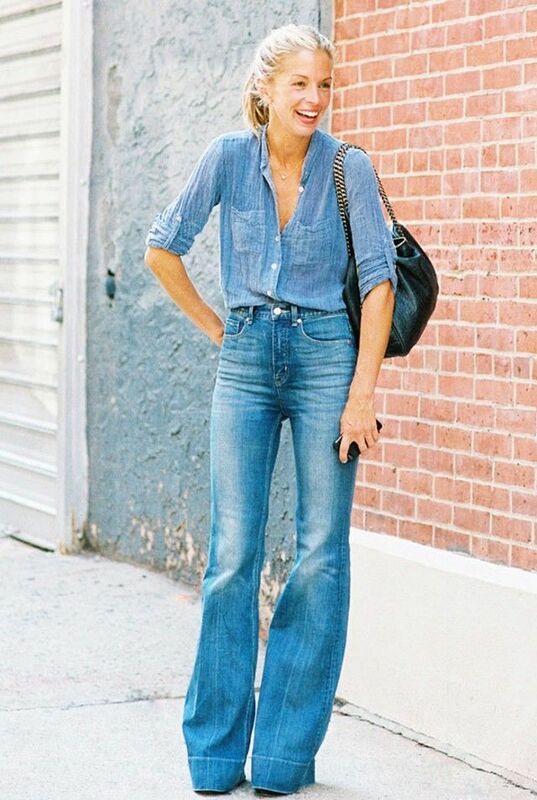 I am obsessed with flares. In the market? Check out Indigo, Lansky 126 or Madewell. 2. Bucket Bags work well for farmer's markets and festivals. And guess what season is upon us? Farmer's Market and Festival Season. I think those are worth capitalizing the letters, grammarians. The first bucket bag I fell in love with was Elizabeth and James. I got one in Black for my 27th birthday and a blue-striped one for my 28th. It is nice navigating the world hands-free and maintaining a level of trendiness. There's something about Spring/Summer that makes me love the bohemian look. I love fringes, draping, and mixed metals. Bohemian doesn't have to be literal. It doesn't have to be grungy. It doesn't have to be messy. It is open for interpretation. Check out my Bohemian Rhapsody board for inspiration.